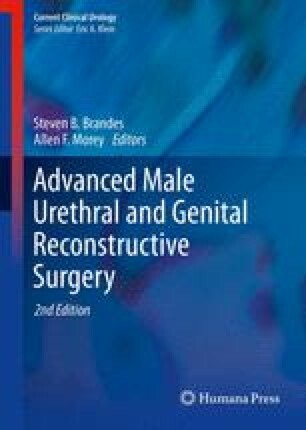 Male urethral slings are becoming an accepted treatment for men with persistent post-prostatectomy incontinence (PPI) who do not desire, or are not candidates for artificial urinary sphincters (AUS). Initial and midterm results following AdVance sling placement have been encouraging, with success rates approaching 70–80 %. Patients with persistent or recurrent PPI following sling placement may be candidates for salvage treatments, depending on patient preference. After removal of the original mesh, repeat AdVance slings are placed in a similar manner to the primary procedure, other than being placed more distal on the corpus spongiosum. Patients competent and willing to operate an AUS may undergo AUS placement following failed AdVance. This is easily accomplished without removing the sling mesh, by placing the cuff around the spongiosum distal to the urethral sling. Early success rates following repeat AdVance placement has approached 70 %, and success following salvage AUS is expected to be similar to a primary AUS placement.